Three views of one of the greatest women of the 20th century, the truth of whose fate continues to be denied and suppressed by mainstream historians. Amelia’s fate, contrary to the American establishment media’s false narrative, is not a mystery, and the time has come to change the conversation about the disappearance of Amelia and Fred Noonan, her navigator, in 1937. It’s time for the truth be widely known and accepted – at last. Amelia was not only the first women to solo fly the Atlantic, she was the first person to fly the 2,408-mile distance between Honolulu and Oakland, California, the first time a civilian aircraft carried a two-way radio. 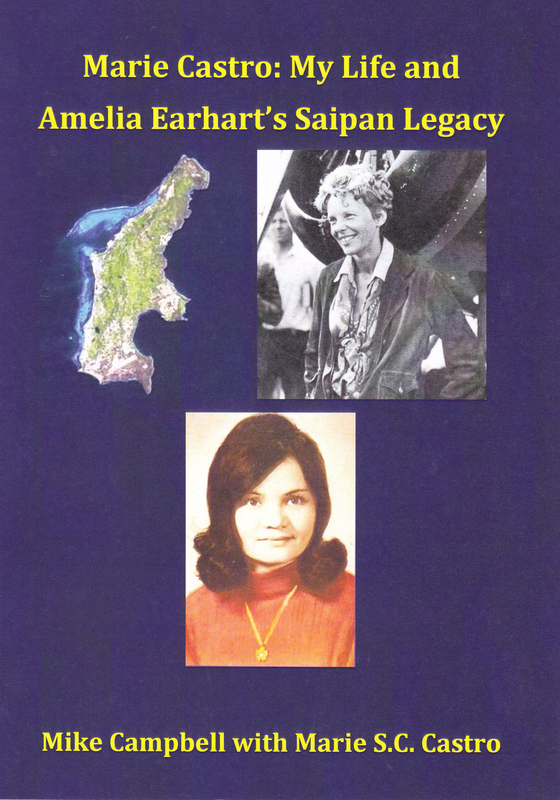 As America and the world continue to make great strides in recognizing women’s accomplishments – women are even making strides in Saudi Arabia – why not recognize the truth about where Amelia Earhart met her tragic fate in the Pacific, on Japanese-controlled and occupied Saipan. In 1937 Amelia Earhart attempted to circumnavigate the world, but unfortunately, her plane came down at Mili Atoll in the Pacific and eventually was brought to Saipan by the Japanese military. Fact! We three met several times. Both wanted me to be the chairperson of a new committee; however, I declined that position, thinking it was inappropriate due to my 50 years away from Saipan. I handed the position to Congressman Barcinas and took the vice chair, while Robert Hunter was named treasurer. We formed the committee on Feb. 2, 2017 and started with a few members: Congressman Barcinas, myself, Robert Hunter, Edward Manibusan, Herman B. Cabrera, Frances C. Hout, Roberta Guerrero, and Frances M. Sablan. Last July, we applied to become a non-profit organization. 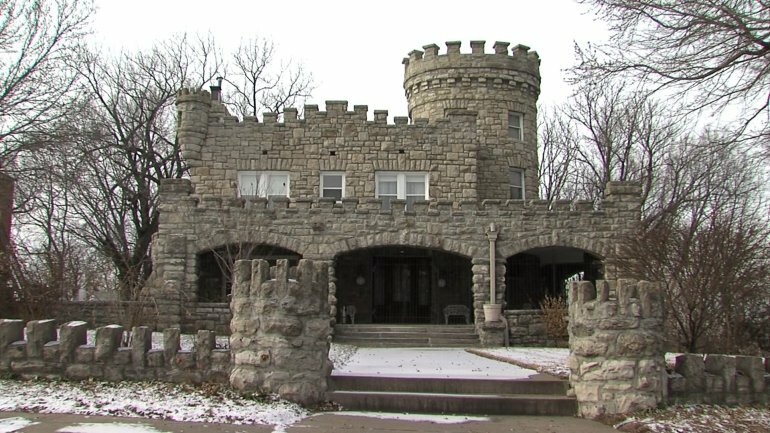 Two weeks later we signed the papers and received a certificate for the Amelia Earhart Memorial Monument Incorporated, and we now have the bylaws of incorporation. Last year we began meeting monthly for the planning of the Amelia Earhart Memorial Monument. Our secretary, Frances M. Sablan, and I attended the Saipan Northern Island Legislative Delegation hearing on Capitol Hill. I spoke about Amelia Earhart and what happened in 1937 here on Saipan, a subject that was totally unfamiliar to those at the hearing. Finding the most appropriate location to build the Amelia Earhart Memorial Monument has not been easy. I decided to take another approach by talking to different individuals who could support the project. The chairman gave me several persons to meet with: Mr. Chris Tenorio, the Director of the Ports Authority; Oscar C. Camacho, Economic Development Analyst, Commonwealth Development Authority; Marianne Concepcion, Department of Public Lands; John Palacios, Historic Preservation Office; Danny Aquino, CNMI Museum; Chris Concepcion, Marianas Visitors Authority; and Harry Blanco, Field Representative of Insular Affairs. After approaching all these different departments, however, the CDA and MVA were the most interested in the project’s success. The memorial monument would surely enhance the island’s economic development by increasing tourism and expanding the marketing base, boosting the Saipan’s popularity worldwide. 16 Albert Bresnik photos from Jeremy Palermo’s collection I received dating back to 1928 will be on display in the museum. A slide video of the same collection would be available for showing. The video of the May 2017 power-point presentation by Mike Campbell to the Association of Naval Aviation at the Naval Air Station Jacksonville, Florida Officers Club. Architect’s rendition of the proposed Amelia Earhart Memorial on Saipan. The monument will honor and commemorate one of the most famous pilots and personalities in the history of aviation. Sadly, due to the controversial political nature of the Earhart story and a blatant lack of accurate historical education – not only on Saipan but the entire United States – uninformed locals now contest the truthfulness of many witnesses who had no reason to lie. Many eyewitness reports have reflected the presence of Amelia Earhart and Fred Noonan on Saipan in 1937. We strongly believe our elders’ testimonies that Saipan is the island where the doomed American fliers spent their final days. More than 1,000 books have been published about Amelia Earhart, and 99 percent are biographies, novels, fantasies, and children’s books. Of all these, only about 10 books present aspects of the truth about what really happened to Amelia Earhart and Fred Noonan. Among these 10, Amelia Earhart: The Truth at Last, by Mike Campbell, is the best, in my opinion and that of many experts who know Earhart research. In 1988, Campbell began to study the history of research into the disappearance of Amelia Earhart. That same year, he began a long-term correspondence with Thomas E. Devine, author of the 1987 classic, Eyewitness: The Amelia Earhart Incident, and soon became convinced that Devine, Fred Goerner, Paul Briand Jr., Vincent V. Loomis, Bill Prymak and others were correct when they claimed that Earhart and Fred Noonan died on Saipan at an undetermined date after they failed to reach Howland Island on July 2, 1937. After 14 years of collaboration with Devine, Campbell’s first book, With Our Own Eyes: Eyewitnesses to the Final Days of Amelia Earhart, was published in 2002 by a small Ohio company. 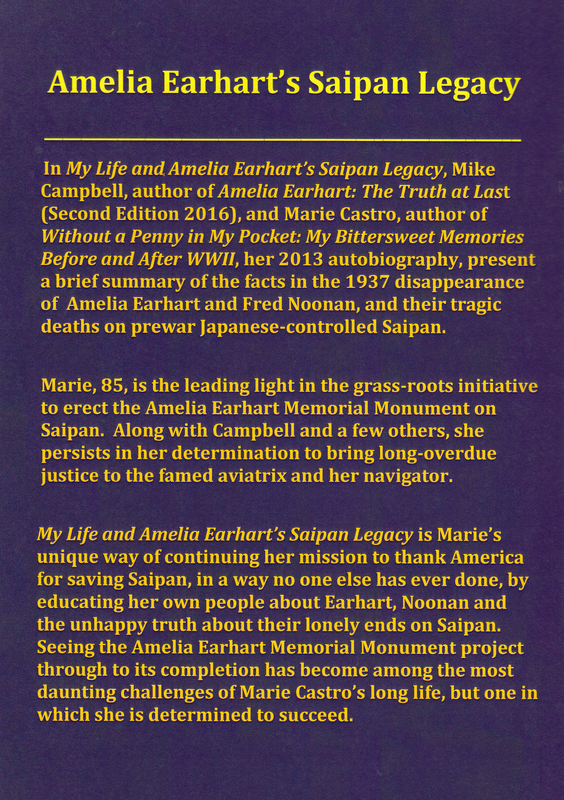 Amelia Earhart: The Truth at Last, published in 2012, with an expanded, more comprehensive second edition in 2016, represents over 20 years of research and presents the most compelling and complete case for the presence and deaths of Earhart and Noonan on Saipan, as well as their initial landing at Mili Atoll in the Marshall Islands, ever written. Naysayers, critics, and cynics inject all manner of ridiculous speculation about Amelia Earhart, as if they are the absolute authorities who can proclaim that she was never on Saipan. We see this constantly, but this only exposes their irrational bias, and sometimes their inherent racism as well. 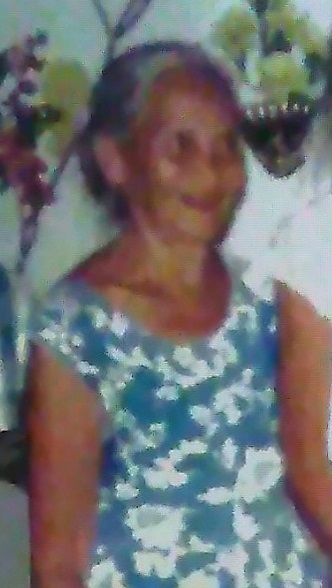 As for what the witnesses saw, it is a point of fact that there were no other white women on Saipan at the time, and “a white lady dressed like a man” would have been easily recognized by locals in those days. 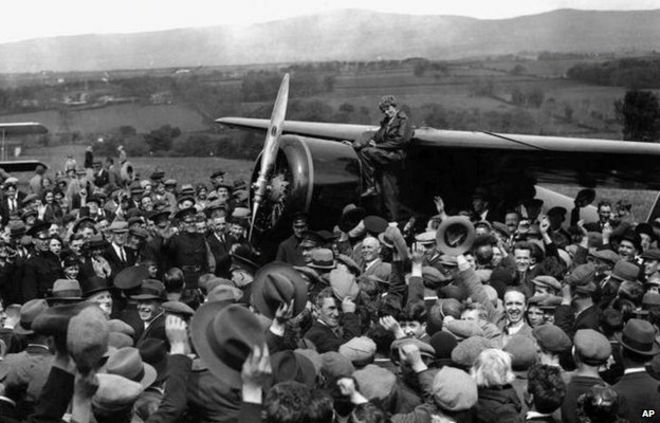 A sighting of Earhart would have unforgettably stuck out and made an indelible impression upon locals, and indeed it did. After the Japanese captured Earhart near Mili Atoll following her crash-landing on July 2, 1937, she was brought for interrogation to Saipan, which was their northern Pacific operations headquarters at that time. The disappointing thing about the arguments against the monument is that they are driven by stubbornness and greed, by demanding proof of Amelia’s direct contribution before she is honored and recognized. In fact, Amelia didn’t have to have died here for the CNMI to honor her for her amazing aviation achievements. 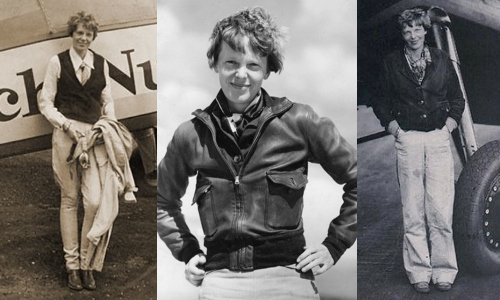 The Amelia Earhart Memorial Monument will celebrate the American pioneering spirit of this great woman’s accomplishments as one of the world’s original feminists, in the best sense of the word, and it will attract women from all professions, as well as aviators and historians throughout the world. We were greatly surprised and delighted when the famous Josephine Blanco Akiyama, 92, a longtime resident of San Mateo, California, was willing and able to make the trip to Saipan, and arrived with her son Ed on Oct. 6, 2018. 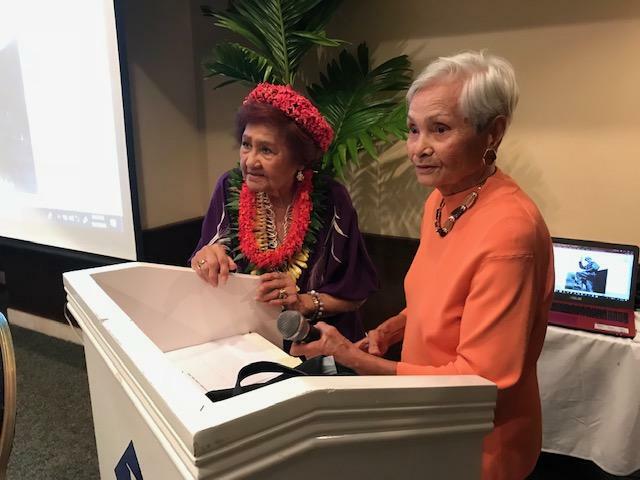 Josephine Blanco Akiyama, left, and Marie S.C. Castro answer a few questions at the Amelia Earhart Memorial Committee’s reception for her at the Garapan Fiesta Resort and Spa Oct. 9, 2018. We are fortunate that she came at the time when we are working so hard on making Amelia Earhart’s Memorial Monument a reality. 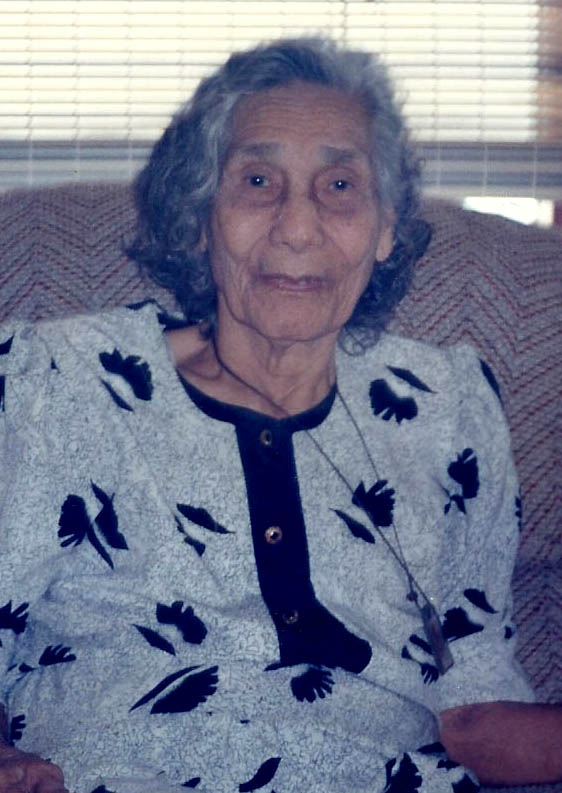 Josephine is the last living person to actually see Amelia Earhart on Saipan in 1937. Without Josephine’s firsthand account, the important early books presenting the truth – Paul Briand’s Daughter of the Sky (1960) and Fred Goerner’s The Search for Amelia Earhart (1966) – would never have been written. Josephine’s was the story that shook America, as true today as it was in 1960. Josephine coming to Saipan was a true blessing for all of us working to establish the truth about Amelia Earhart’s presence here. 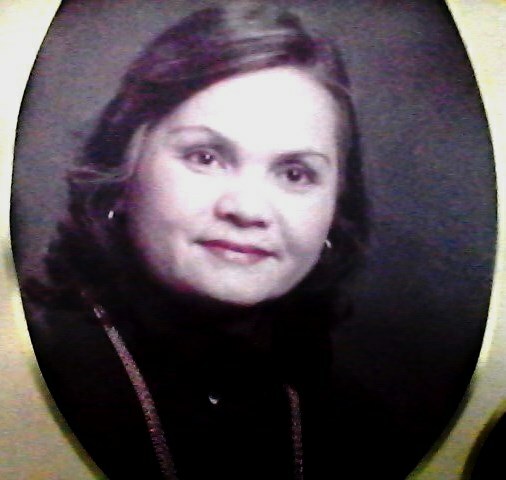 She strengthened the worthy cause and helped to open up the minds of some of the unbelieving locals who have been misinformed for decades by the U.S. establishment and led to believe the popular but false “crashed-and-sank” and “Nikumaroro hypothesis” landing promoted by The International Group for Historic Aircraft Recovery (TIGHAR) and others who have used the Earhart story to profit greatly and mislead millions of the uninformed about the true fates of Amelia Earhart and Fred Noonan. We don’t have space here to present all the Saipan witness accounts, much less the witnesses from the Marshall Islands, where the fliers landed at Mili Atoll, but following are a few such testimonies. 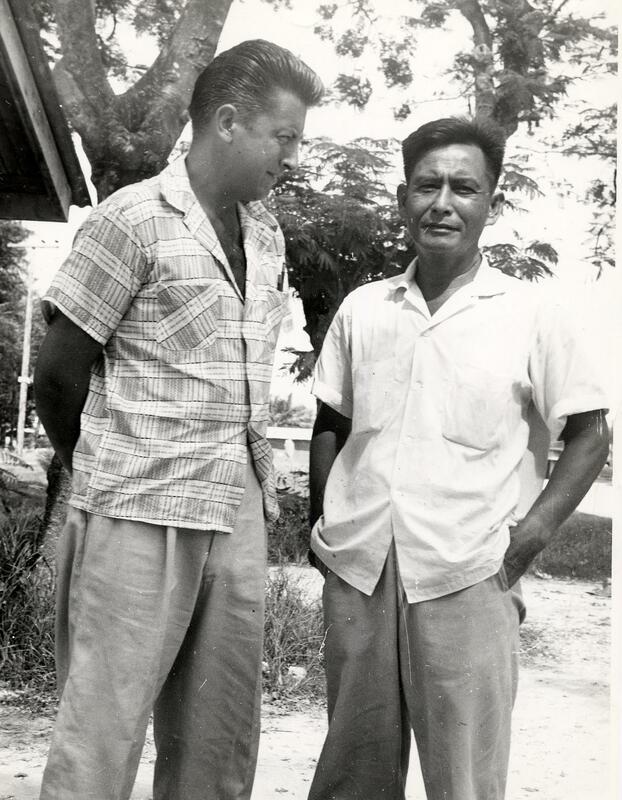 In 1960, Dr. Manual Aldan, a dentist and Saipan native who understood Japanese, told Fred Goerner he didn’t see the white woman or man in 1937, but offered an important detail he overheard from a Japanese officer. “I dealt with high officials on the island and knew what they were saying in Japanese,” Aldan said. “The name of the lady I hear used. This is the name the Japanese officer said: Earharto!” Aldan said he heard much about Earhart from his patients, and in 1937 these were restricted to Japanese officers. The headline story of the May 27, 1960 edition of the San Mateo Times was the first of several stories written by ace reporter Linwood Day that set the stage for Fred Goerner’s first visit to Saipan in mid-June 1960 and led Goerner’s 1966 bestseller, The Search for Amelia Earhart. 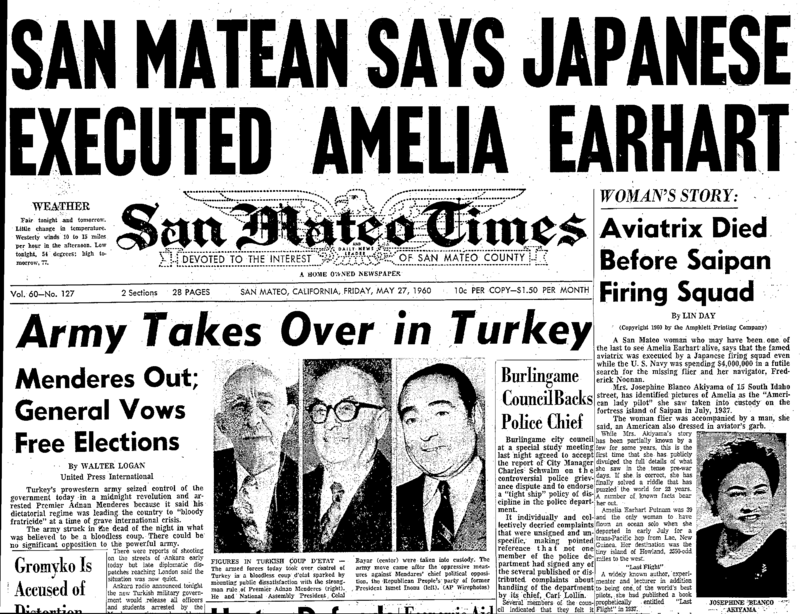 Day worked closely by phone with Goerner, and on July 1, 1960, the Earhart frenzy reached its peak, with the Times announcing “Amelia Earhart Mystery Is Solved” in a 100-point banner headline across its front page. 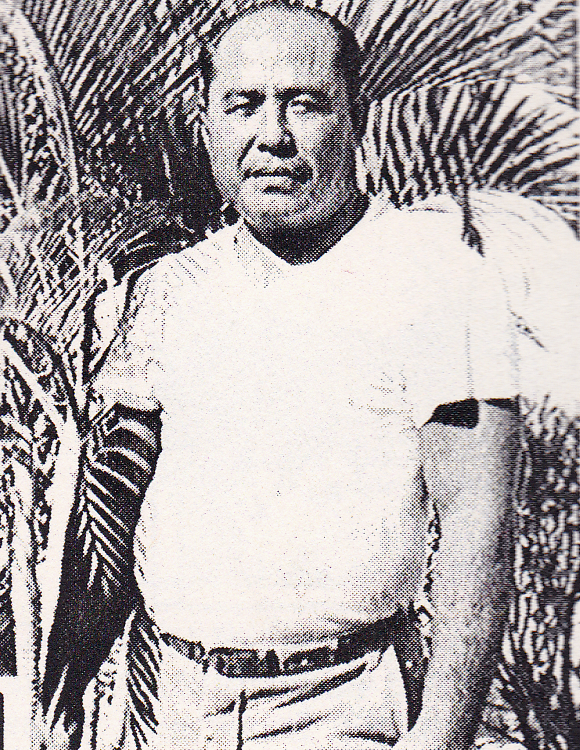 Pedro Sakisag, born in 1927, told Goerner he was the youngest of those working at the harbor “for an unloading of food from the ships” in 1937. “During that time, one of our group went to the rest room, and the place where they kept the lady, and saw her face peering out a small window,” Sakisag said. 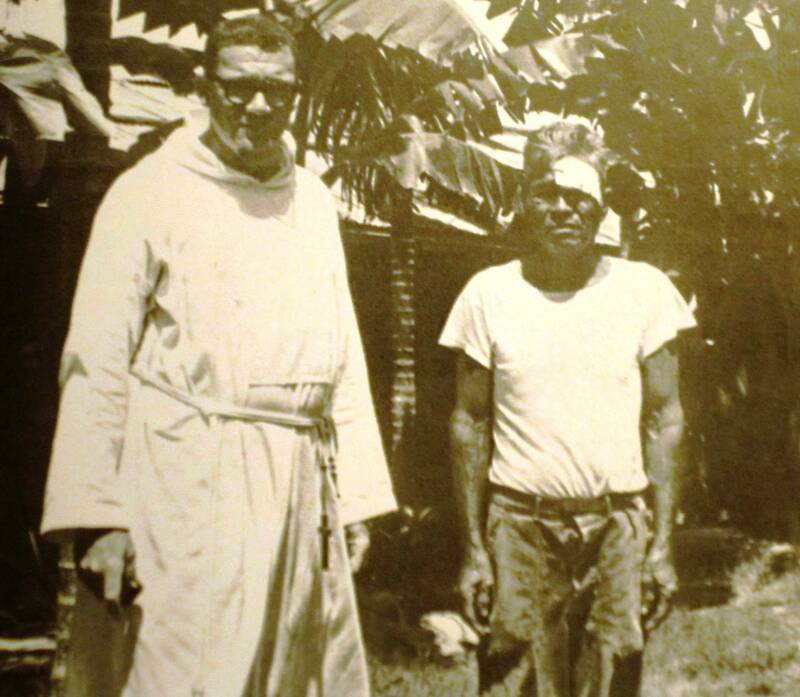 Catholic Missionary Priest Father Sylvan Conover with Jesús Salas, who reported that “sometime during 1937 a white woman was placed in the next cell [beside Salas], but kept there only a few hours.” He was told the woman was an American pilot. 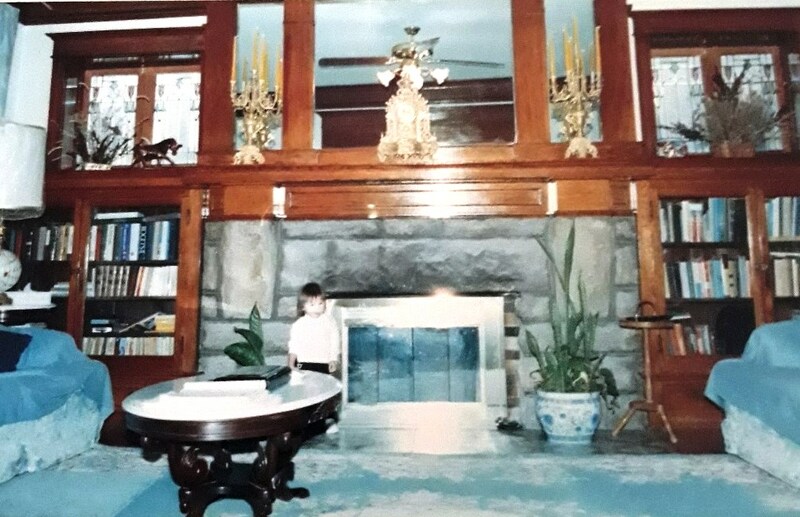 One summer about two years after I got married, I saw an American girl who was referred to by some as the “American spy woman.” She was quartered on the second floor of the hotel Kobayashi Royokan in the summer of 1937. I don’t remember any plane crash, but I saw the girl twice on two separate occasions I saw her while going to work outside the hotel, which is located in East Garapan village. She wore unusual clothes – a long raincoat belted in the center. The color was a faded khaki. She was average height American girl – not short, not extra tall, had thin build. Chest somewhat flat, not out like other American girls. Her hair appeared to be a reddish-brown color and cut short like a man’s hair, trimmed close in the back like man. She did not wear powder or lipstick as I see other American women wear now. 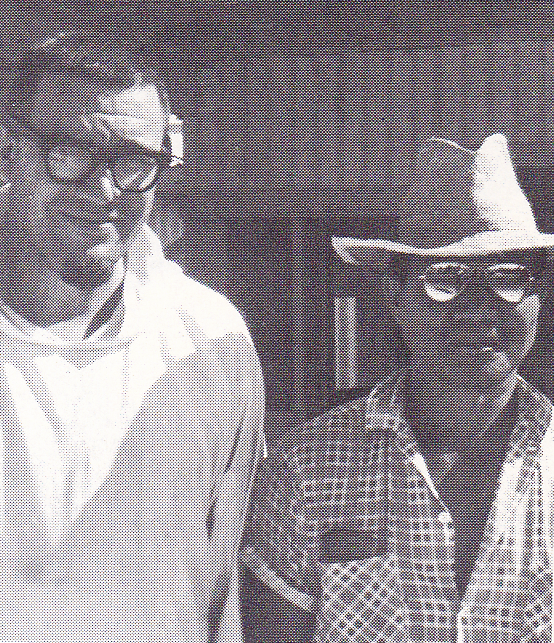 Father Sylvan Conover with Pedro Sakisag on Saipan. Cepada told Gervais that the woman, “Tokyo Rosa,” was about thirty-five years old. When Gervais asked if he meant the Tokyo Rose on Japanese radio during the war, Cepada impatiently said, “Not that one. Tokyo Rosa in 1937 meant American spy girl. 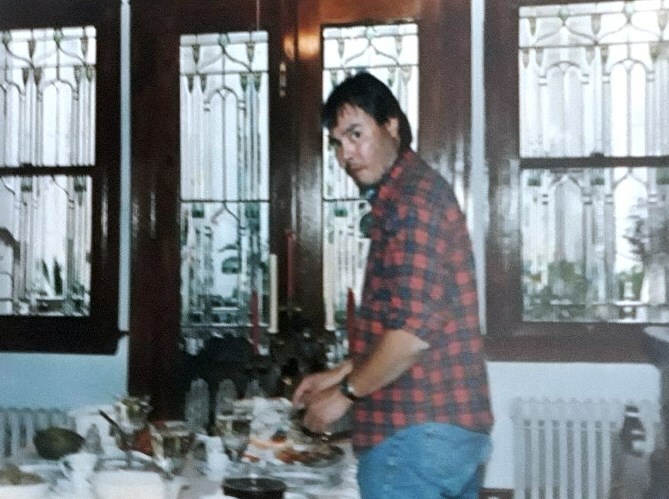 That’s all.” Carlos Palacious told Gervais and Dinger that he had been working on Saipan as a salesman at a store near the Hotel Kobayashi Royokan since 1930, and that he saw the girl only twice in about a three-month period, the first time at a window on the second floor of the hotel. “The window was open,” Palacious said, “and she had on what looked to me like a man’s white shirt with short sleeves . . . open collar. 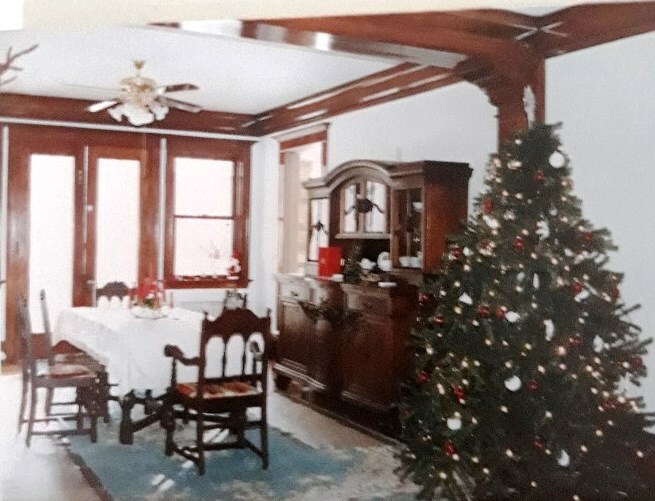 She had short dark reddish-brown hair, cut like a man’s hair in back, too.” The second occasion he saw her, Palacious said she was standing at the entrance to the hotel, wearing the same clothes as before: “Same girl, hair cut short, no make-up, a slim girl . . . not fat . . . not big in the chest.” Palacious used the same term to describe her that Cepada had –“Tokyo Rosa . . . an American spy girl,” and thought she was about thirty-four to thirty-six years old. Carlos Palacious told Joe Gervais and Robert Dinger that he saw a woman who looked remarkably like Amelia Earhart at the Hotel Kobayashi Royokan twice in a three-month period. Mrs. Matilde Shoda San Nicholas (the former Matilde Fausto Ariola) told Gervais, Dinger, and Father Bendowske that she lived next door to the hotel with her family in 1937, and “saw the American girl in the hotel, and twice during the seven days she stayed there she visited me and my younger sister at our home,” mirroring Antonio Cepada’s time estimate for the woman’s stay at the hotel. She described the woman as “thin with short hair like a man’s,” and said the first time she saw her she looked very pale as though she were sick. One day she came out into the yard and she looked very sick and sadder than usual. I gave her a piece of fruit and she smiled. Then she gave me a ring from her finger and put her hand on my head in friendship. The next day one of the police came and got some black cloth from my father and had him make some paper flowers. The man said the lady had died and they were going to bury her. She died of dysentery. The ring, a single pearl set in white gold that Matilde said Amelia Earhart gave her, would have been a powerful piece of hard evidence, but Matilde said she gave it to her sister, who passed it to her niece, who lost it. No photographic evidence of the ring exists, and Goerner thought Amelia could have bought it at one of her stops prior to Lae.